The Cowboy’s Texas Family is another great addition to the Lone Star Cowboy League: Boys Ranch series, as the mysterious happenings around the ranch remain unsolved and the suspense continues to build. For those who have not read earlier installments in this continuity series, The Cowboy’s Texas Family is a story that can also stand alone. I really enjoyed Nick’s devotion to Corey and his determination to find the ten-year-old a better home. When Darcy comes to town, she immediately joins Nick in his endeavor, and their unexpected journey becomes one of hope and healing. Tackling some difficult issues, The Cowboy’s Texas Family tugged at my heartstrings! Rancher Nick McGarrett wants to help orphaned ten-year-old Corey Phillips, the brother of his late comrade. But he’s not fit to be a father—not with his troubled past. Thankfully, the child finds a home at the Lone Star Cowboy League Boys Ranch, where Nick volunteers. When wealthy newcomer Darcy Hill discovers she’s Corey’s cousin, she hopes to eventually take him in. Nick and Darcy couldn’t be more opposite—or more drawn to each other. But for Darcy, raising Corey in her hometown means leaving Texas…and Nick. It’ll take a special little boy to show these two grown-ups that the key to forging a new future is being together. When district attorney Tory Carson returns home after a long day in court prosecuting a gang leader, she finds her house trashed. Concerned that the vandalism is connected to the trial, the local police chief calls the Texas Rangers…and her former love Cade Morgan responds. Tory’s history with Cade—and the secret they share—makes her reluctant to let him back into her life. But Tory doesn’t want to choose between bringing down a gang leader and protecting her teenage daughter. With the threat escalating the longer she tries the case, the safest place for Tory and her daughter is at Cade’s ranch. But can Cade protect them long enough for Tory to bring the criminal to justice? High-Risk Reunion is an exciting tale of suspense and second chances! Danger lurks around every corner, and Texas Ranger Cade Morgan is determined to keep Tory Carson and her daughter safe. When threats and danger escalate, will he be able to offer the protection they need? Margaret Daley kicks off this new series with action and intrigue, crafting a cast of characters I cared about and rooted for until the very end. I really enjoyed Cade and Tory’s story and look forward to continuing the Lone Star Justice series! 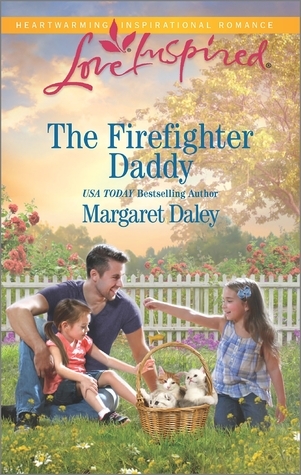 From the endearing characters to the charm of small town life, I loved everything about The Firefighter Daddy! Liam and Sarah’s story is engaging, entertaining, and such a pleasure to read. I’m excited to know this is the first book in a new series, and I look forward to future stories. 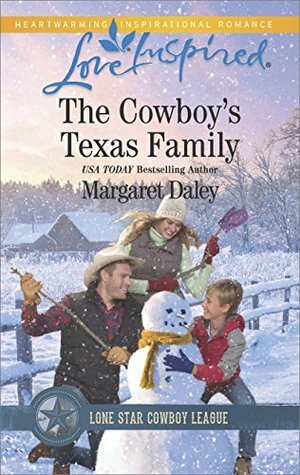 Margaret Daley has written another touching and tender tale that is sure to delight fans of heartwarming romance! 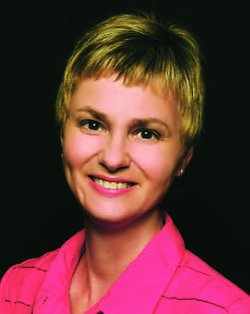 Margaret Daley is an award-winning, multi-published author in the romance genre. One of her romantic suspense books, Hearts on the Line, won the American Christian Fiction Writers’ Book of the Year Contest. She has also won the Golden Quill Contest, FHL’s Inspirational Readers’ Choice Contest, Winter Rose Contest, Holt Medallion and the Barclay Gold Contest. Margaret wrote for various secular publishers before the Lord led her to the Christian romance market. She currently writes inspirational romance and romantic suspense books for the Steeple Hill Love Inspired lines, romantic suspense for Abingdon Press and historical romance for Summerside Press. Lydia McKenzie is the only living witness to a serial bomber’s latest threat. Surviving the explosion at the café, Lydia is rescued by police sergeant Jesse Hunt and his K-9 partner, a Rottweiler named Brutus. She’s struggling to remember details of the incident. But one thing she’ll never forget is how she once felt about Jesse—the high school sweetheart she left to marry another. In charge of her protection, the guarded cop believes the bomber’s after her, and he promises to keep her safe. But as more of Lydia’s memories return, the more the vicious killer wants her dead. 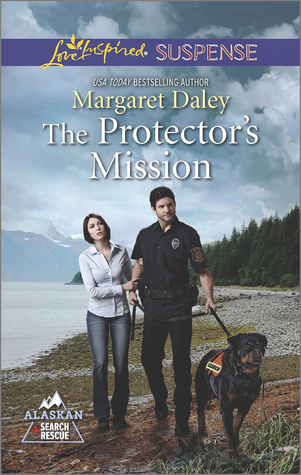 Once again, Margaret Daley has shared a great suspense in The Protector’s Mission! This is the third story in the Alaskan Search and Rescue series, but each of the stories can be enjoyed independently. When a deadly explosion reunites Lydia McKenzie and Jesse Hunt, Jesse vows to protect his former sweetheart. However, he is also determined to guard his heart. I really enjoyed the characterization in this story and the palpable tension between Lydia and Jesse. These two have a lot to work through and as the drama and danger escalate, so do their emotions. Intertwining suspense and romance, The Protector’s Mission is a story that will keep you guessing! 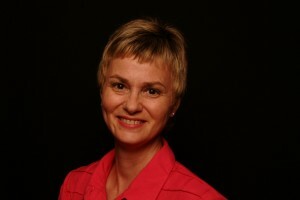 To learn more about Margaret and her books, please visit her website, http://www.margaretdaley.com. Annie Knight has her work cut out for her as the McGregor family’s newest nanny. Dr. Ian McGregor means well, but the distracted single dad’s lost touch with his four kids. The new nanny brings much-needed calm to the chaos, including finding a service dog that could be a real lifesaver. And soon the good doctor’s making Annie’s heart respond in ways it hasn’t for years. But Annie’s cheery demeanor hides a heart-wrenching secret that’s as much a part of her as her carefully hidden scars. Annie doesn’t think she deserves happiness—but Ian and his kids will show the caretaker that with the love of family, everything’s possible. 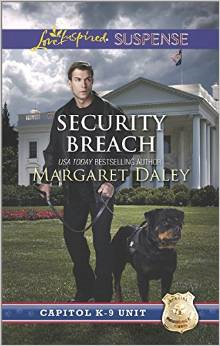 I love Margaret Daley’s Caring Canines series, and am always eager to read its latest installment. The Nanny’s New Family was certainly no exception; it is a wonderful story! My heart ached for the McGregor family and the losses they had endured, so I was delighted when the family’s newest nanny helped calm their chaos and heal their hurts. Harboring physical and emotional scars of her own, Annie Knight soon learns the power of faith, family, and love. I loved the drama and emotion of this story, as well as the endearing characters. The Nanny’s New Family is a touching story that will warm your heart! I received a complimentary copy of this book from the author in exchange for an unbiased review. I appreciate the opportunity to read this story and share my honest opinion. To learn more about Margaret and her books, please visit her website, www.margaretdaley.com. Security Breach is an exciting story full of twists, turns, and surprises! The action begins with an intruder at the White House and escalates to more sinister attacks. Officer Nicholas Cole and his canine partner, Max, must work to solve the case and protect White House tour director Selena Barrow. Who is behind the attacks and why are they being committed? Those questions and more kept me turning the pages of this action-packed story. I loved the imagery and details of the White House and Capitol Hill events, as well as the political and romantic elements of this story. I really enjoyed Security Breach and look forward to reading the other books in this series. Security Breach is the fourth installment in the Capitol K-9 Unit continuity series, which begins with Protection Detail by Shirlee McCoy and will conclude with Proof of Innocence by Lenora Worth. I received a complimentary copy of Security Breach from the author. I appreciate the opportunity to read this book and share my honest opinion. When White House tour director Selena Barrow is attacked in her office, the Capitol K-9 Unit goes on high alert. Selena’s cousin is a person of interest in a congressman’s shooting, and Selena has been collecting evidence to exonerate her. Could this be the break they’re looking for? Officer Nicholas Cole and his dog, Max, step in to safeguard Selena—and to keep an eye on the evidence. As the attacks escalate, Selena finds it increasingly difficult to keep her distance from her handsome protector. But with an unknown enemy watching Selena’s every move, Nicholas will become her confidant…and her lifeline. When a young boy goes missing from wilderness day camp, Alaskan search and rescue worker Josiah Witherspoon is on the case. The brooding ex-marine promises to find the child and return him to his worried mother. But he doesn’t know that Ella Jackson has a secret past. One that could put them all in danger. When tensions mount, Ella needs to tell Josiah the truth—but she can’t set aside her fears enough to trust him. Ella and Josiah are ready to risk their lives to save her son, but will they risk their hearts, as well? 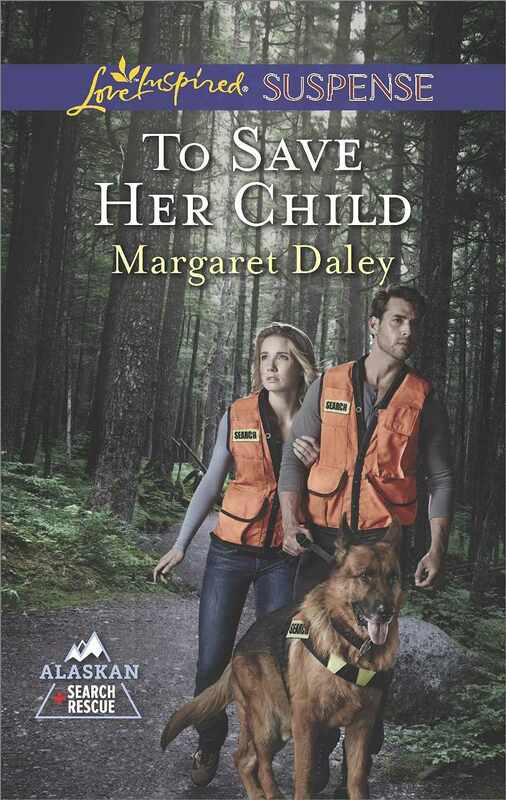 To Save Her Child is another exciting suspense from Margaret Daley! Although it is the second book in the Alaskan Search and Rescue series, this story stands on its own. As Ella Jackson’s worst fears come true, she must learn to trust and accept help from those around her. Josiah Witherspoon risks his life as a search and rescue volunteer, but hesitates to risk his heart. These two must risk it all to save Ella’s young son. I love reading about the special people who risk their lives to save others! Ella and Josiah are endearing characters and I really enjoyed the development of their relationship. The emotions are palpable in this fast-paced story of danger and suspense. I enjoyed To Save Her Child and recommend it to fans of romantic suspense! To learn more about Margaret, please visit her website at: www.margaretdaley.com.